Who can identify this motorcycle? I’m writing on behalf of a friend to see if any OBM reader can identify the motorcycle in the accompanying photo. I apologise for the picture quality, but the original is only about passport size. 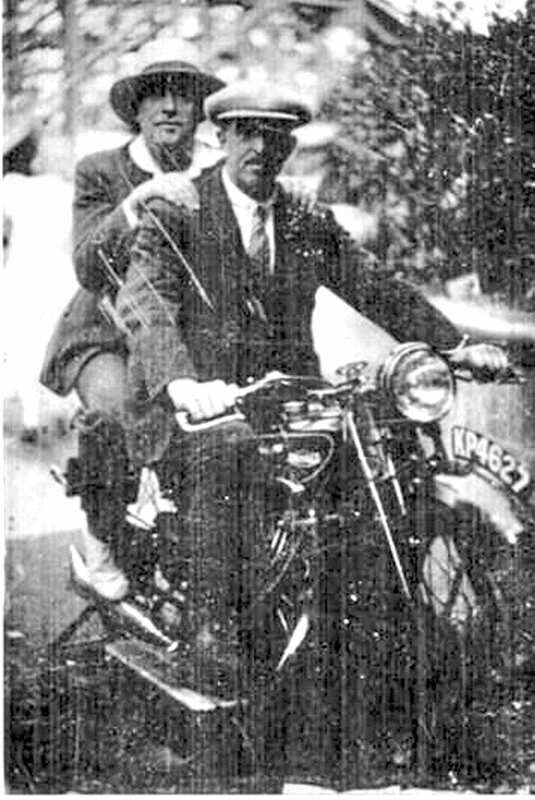 Dressed in flat cap, collar and tie, the rider of this tasty-looking motorcycle, who died in 1937, was the great-grandfather of the lady who is now trying to identify the machine. The lady asking the question is the rider’s great-granddaughter, and the only thing she knows about the bike is that it must be pre-1937 because that’s the year when the gentleman died. The registration number, KP 4627, is plain to see, but I cannot identify the tank badge. The motorcycle appears to have running boards, but they might not be original. Upon close inspection the petrol tank appears to have two filler caps (one for fuel and one for oil?). Anyone with any information can contact me directly by email at steveburwell47@gmail.com . After looking into the Mortons Archive, my colleague James Robinson of The Classic Motorcycle believes the machine is a 1930 496cc Dunelt Model SD with dry sump lubrication Ed.